Unlimited Talk, Text & Data! Mobile Hotspot available on iPhones! Get unlimited talk, text and data with the first 3 GB at high speed on the nations largest GSM network! An ATT MVNO is any wireless provider that doesn’t have its own wireless network and instead uses ATT’s network to provide you with cellular service. Without having to build and maintain its own cellular towers, an ATT MVNO can save you a lot of money on your phone bill. In fact, switching to an ATT MVNO may help you to reduce the cost of your phone bill by more than half! I already know all of this! Take me to the ATT MVNO List! ATT MVNO’s typically buy cheap talk, text, and data in bulk from ATT. Each ATT MVNO then resells the talk, text and data back to the consumer with a price markup that should be profitable for the company. Even with the markup, the service is generally resold at a significantly cheaper rate compared to what ATT would sell it to consumers for. 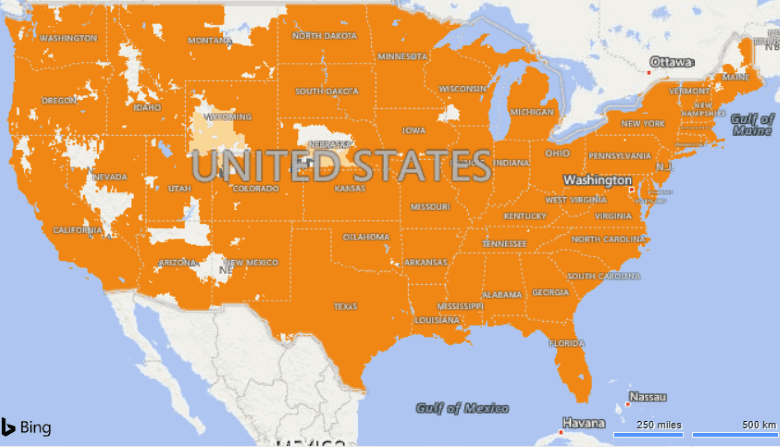 ATT MVNOs offer some of the best overall nationwide wireless coverage per dollar so pay close attention to what you see here. Other carrier 4G LTE MVNO’s may offer cheaper wireless phone plans but their nationwide coverage may not be nearly as good as what you’ll find here. Since AT&T also operates on a GSM based network, bringing your own cell phone to one of their MVNOs tends to be a lot easier than moving a Verizon or Sprint phone to an MVNO. In the future, as providers all move towards offering LTE or 5G only service, we may see it become easier to move phones between different carriers. Most, if not all ATT MVNO’s, do not allow roaming on other domestic wireless networks. Roaming is what happens when your provider does not have its own towers and network in a given area, but instead uses another network such as T-Mobile to provide you with cellular coverage. This means that you may see a small drop off in coverage if you switch from ATT postpaid service where roaming is allowed to an ATT MVNO where roaming is not allowed. For most though, this should go unnoticed. On smaller networks, such as Sprint’s network, it may be more of an issue. Another con, and this is for MVNO’s in general, is that service with an MVNO may be prioritized below service directly obtained from the parent network. As an example, this means that if you are subscribed to an ATT MVNO and ATT’s network is busy, you may see your data speeds temporarily slowed down or an increase in network latency. This isn’t very common though. Just like with the major wireless carriers, customer support will vary based on which MVNO provider you are subscribed to. Some MVNO’s you may find to offer excellent customer support, while others not so much. About half of all ATT MVNO’s do not sell phones. This is one area where the MVNO industry is relatively weak. With the exception of a few major MVNO providers such as Straight Talk, or AT&T owned Cricket Wireless you typically don’t see great deals or BOGO offers on cell phones. Unless it’s an iPhone, as long as your phone supports LTE bands 2 (1900 Mhz),4 (1700/2100 Mhz), 5 (850 Mhz) and either 12 or 17 (700 Mhz) it will work on any AT&T MVNO. The trouble with iPhones is that Apple blocks access to an iOS setting that is needed to get the iPhone to work properly with select MVNO’s. Without access to that setting, users cannot send or receive MMS picture messages. It seems that Apple wants some sort of compensation from MVNO providers in order to activate that setting. One way to tell if your iPhone will work with an AT&T MVNO is to check and see if that MVNO sells new iPhones. If they do your iPhone should work properly with that provider. If you’re ready to begin your journey into the world of ATT MVNO’s here is a list of providers that operate on the ATT Network. Each provider listed above offers several different cell phone plans. I sorted through them and in the table below I picked out what I think is the best plan offered by each provider. In order to make it into the price comparison table, plans were picked that contained unlimited talk and text with at least 1 GB of 4G LTE data. The current list of plans best describes cell phone plans suited for single lines. If family plans are all you are interested in you can have a look at them here. In some cases though, the below single line prepaid cell phone plans will suffice and be what’s most cost effective for you, particularly if you are a couple or a family of less than 4. (Special Note: Some ATT MVNO's may have limited support for Blackberry devices and iPhones. Unlimited talk, text and data while roaming in Mexico or Canada. Unlimited talk and text to Mexico and Canada. Family discounts. 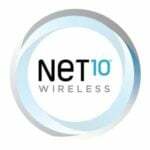 $10 off of line 2, $10 off of line 3, $20 off line 4, $20 off of line 5. Not sure which is right for you? Maybe this MVNO List can help. Want to try and custom build your own plan? Check out my build your own cell phone plan tool! Looking for Pay as You Go? Check out the AT&T pay as you go plans page. An easier solution would be to use a different messaging app just for you and your husband. For example my wife and I used Allo just to text back and forth because it was easier, much much faster, and way more features than the stock messaging app. That would be my advice vs switching carriers as it is a hell of a lot more easier to do. That’s not an easier solution. For starters, Allo is being discontinued. Second of all, those messaging apps are not universal. Everyone you know has to be using the app if you want to send them a picture message. The only solutions are to switch providers, buy a different phone, jailbreak the iPhone or get a free second number to use through something like Google Voice. All of those solutions have drawbacks, but the easiest for many is to switch providers. I currently use the “Obama phone” plan which is serviced by TracFone and which I believe is provided by AT&T. On this plan I am provided free of charge every month with free unlimited text, 300 and some odd talk minutes and approximately 500 MB of data. If you’d like more data they offer a truly great unlimited, true gig speed internet connection the world 40 in dollars in change. Can anyone recommend an AT&T MVNO offering mobile hot spot without having to buy a new high priced phone? I have an unlocked S7 (currently on Straight Talk Verizon), but no luck finding any AT&T MVNOs that support mobile hot spot with it. I don’t mind paying a monthly upgrade fee. Just hate to buy a new phone if I don’t have to. I use a Sony Xperia on Straight Talk AT&T and the hotspot works for some reason. Another option is to root your phone or look around on xda.com for a workaround. BTW root on Android is the equivalent of jailbreaking an iPhone, I. E. Bypass security features so that you can have full control of the device. Do you have international calling and texting requirements? Is iPhone MMS support required? None at this time since for this short trip. Hopefully by end of year I’ll be back home for good then I can look at other plans with those features. Unlimited stateside calling and sms is all I will need. I’ll be on wifi at home, thanks. I think you are looking at some of your usual suspects here, Red Pocket Mobile, H2O Wireless, and Pure TalkUSA. 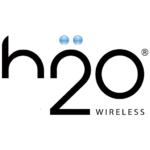 If you’re home in time, H2O’s $20 plan is likely your best bet as it will come with 500 MB of bonus data, totaling 1GB for new customers. You have to subscribe by 4/30/18 to get the bonus data. I’ll be home in July. I’ll keep an eye out as time nears, thank you. Is it possible to sign up for a new one months’ line of service with any ATT MVNO without using a credit/debit card at sign-up? Yeah. I get charged a dollar every month. They aren’t free. Just got a text from Puretalkusa that my $35 a month plan will now have 5gb of data from 2.5. Great deal great company. Not sure if this is for new customers or a perk for existing ones. Website doesn’t feature change to their plans yet. Supposed to start in July. Thanks for the tip. That sounds great! I’ve been with them for 2 years now. Customer service is in Georgia and it’s great. $35 all taxes and fees included with 5 gigs of data. At&t service is good by me an I’m almost never without service when I travel. I think it’s a great value. Far better than cricket. Good luck. Thanks. I actually just finished all plan updates, including those. Thanks, but that’s promotional data that you only get with your plan for a limited time. Once the promotion ends data reverts to what’s listed. If H2O makes the allotment permanent , the table will be updated with that information. That sounds like you had T-Mobile TPO. That can unfortunately happen with T-Mobile service, particularly if you’re not in an area with band 12 or your phone doesn’t support band 12. I have T-Mobile and run into this from time to time. I also left Pure Talk for a couple of months to try TPO. I would occasionally lose the signal in some buildings which never happened with Pure Talk. I’m now back with Pure Talk with a better plan than I had last time.